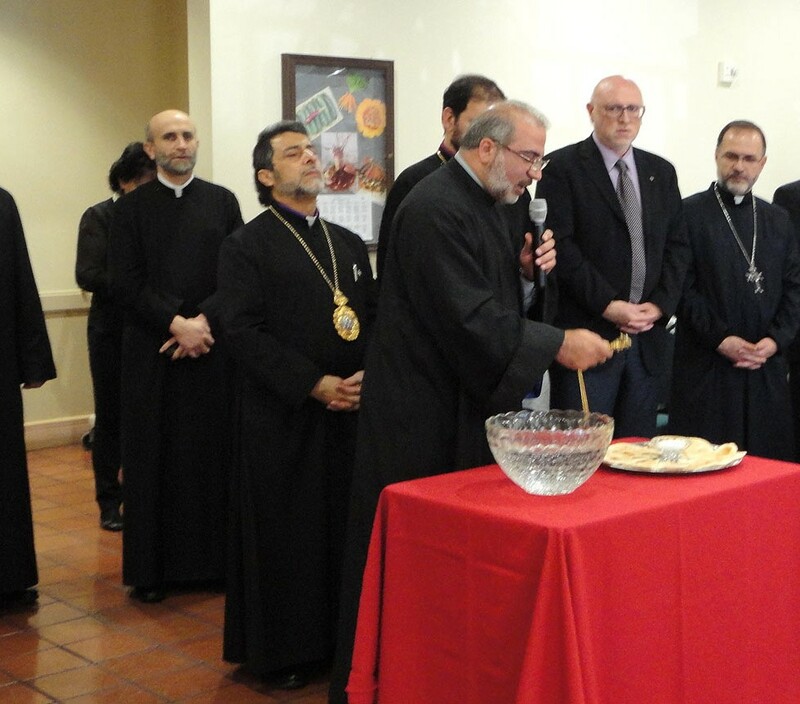 A delegation of Diocesan clergymen were greeted by several members of the Ararat Home staff and Board of Trustees on Monday, February 9, 2015. H.E. Archbishop Hovnan Derderian, Primate of the Western Diocese of the Armenian Church, visited Ararat Home accompanied by H.G. Bishop Abgar Hovakimian, Primate of the Canadian Diocese, Rev. Fr. Vazgen Boyajyan from Montreal, Rev. Fr. Zareh Zargarian from Toronto, Very Rev. Fr. Pakrad Bourjekian from the St. James Brotherhood of the Armenian Apostolic Patriarchate of Jerusalem, and several other Western Diocesan clergy.